These beautiful designs set a new standard for giving your beloved pet a place to rest comfortably in your home or office. 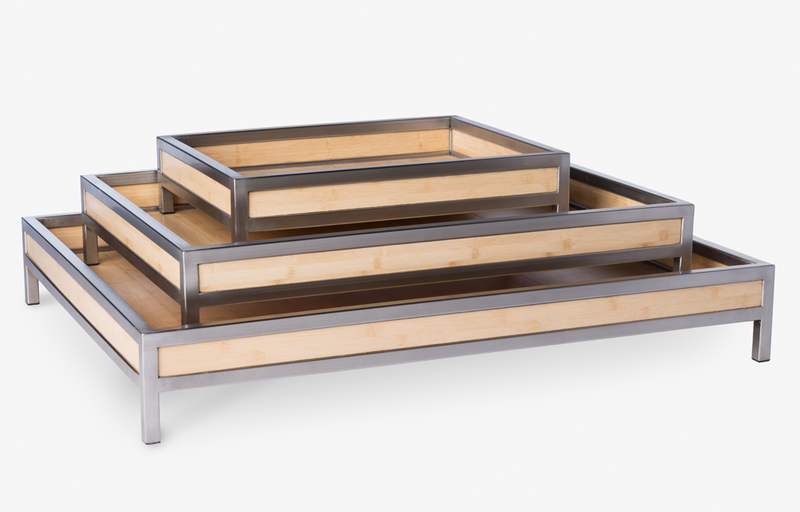 Constructed in stainless steel and bamboo to withstand daily use for generations. 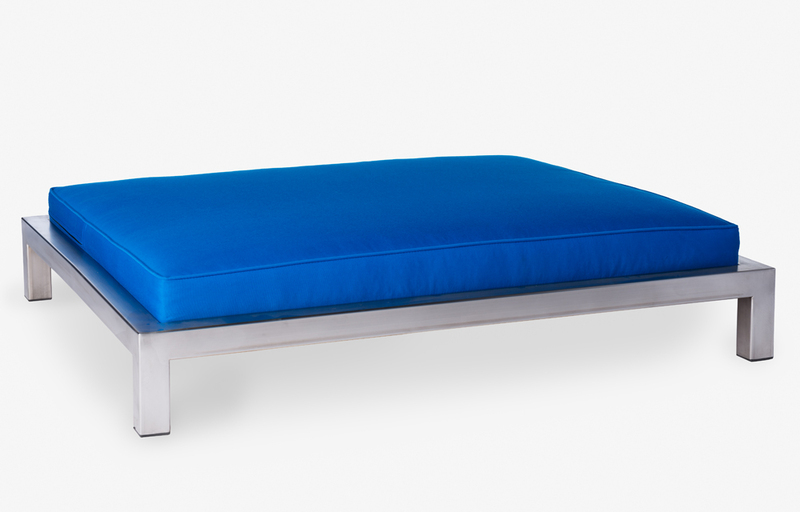 Also available in stainless and cedar with Sunbrella fabrics for the outdoors. Available in small (20”x 26”x 6”), medium (29”x 38”x 6”) and large (38”x 46”x 6”).